GREAT NEWS! We are adopting!!! We are finished with our home study and we're officially "Paper Pregnant!" If you've spent much time with me or Ben, you'll know that we have felt called from day one to be advocates for adoption and have always prayed for the opportunity to grow our family through adoption. This is a joy and an honor for us! Now more than ever, we want our actions to stand behind our words. We are more than just pro-life with our lips; we want our family, our resources, our faith to all scream HOPE and stand in the gap on this issue. We do not believe adoption is a quick fix to a complex problem within our society, but we do believe it is a start and it's what we can do right now. And it thrills us to be able to do so. It’s a domestic adoption, meaning it's a child from the USA. More specifically, the child will be from North Carolina. We don’t know the ethnicity of the child, nor do we have a preference. We chose an agency that is holistic in their approach to adoption. Our needs/preferences do not take precedence over the birth mother or child’s needs. All of us play a significant role in providing a thriving home for our child, and the birth mother’s role is one of the MOST important. Her choosing life is one of the bravest and hardest decisions and we so greatly admire her! Because of that, we wanted to make sure we chose an ethical agency that provided phenomenal care for the birth mother before, during, and after the birth of our child. 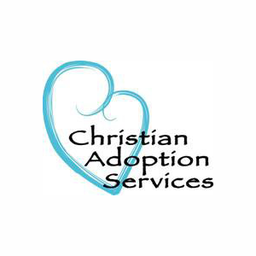 We are honored to be partnering with an agency that takes a holistic approach towards the adoption process. Our agency has asked us to funnel all monies through Pure Charity so we've set up a one-stop place to help us raise our goal! Pure Charity donations are TAX-DEDUCTIBLE and all monies donated on our site will be directly donated to our agency, Christian Adoption Services, and go towards our adoption. We have a donations goal of $18,000. Our total adoption costs is aproximately $28,000 and we've already paid the difference! Praise God for His provision thus far and we know He'll continue to provide along the way!! Thank you so much for being a part of our lives and helping accomplish something that's important to all of us! We're excited to welcome our next little one into our family! !